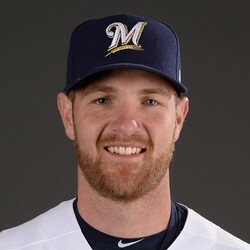 Jett Bandy was designated for assignment by the Brewers on Friday. Bandy was let go to make room for veteran Erik Kratz, who the Brewers acquired from the Yankees on Friday. Kratz will take over for Bandy as the Brewers' backup catcher. Bandy had a .188 AVG and .268 OBP before being let go. He'll probably latch on with another organization, perhaps in their minor league system.